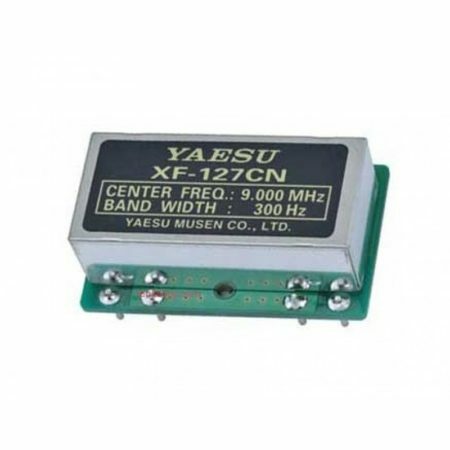 View basket “Yaesu CT-62” has been added to your basket. 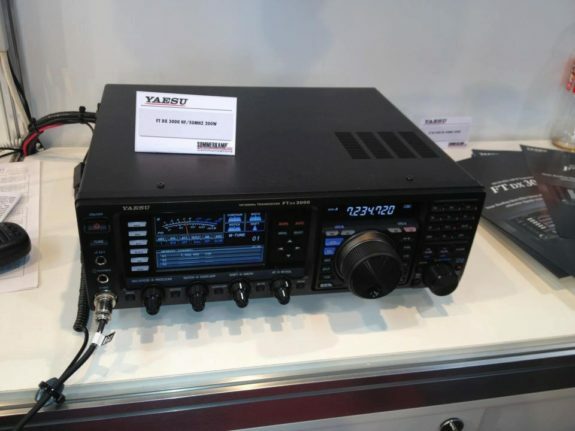 Yaesu FT DX 3000 HF 50 Mhz 100 Watt All Mode Transceiver. 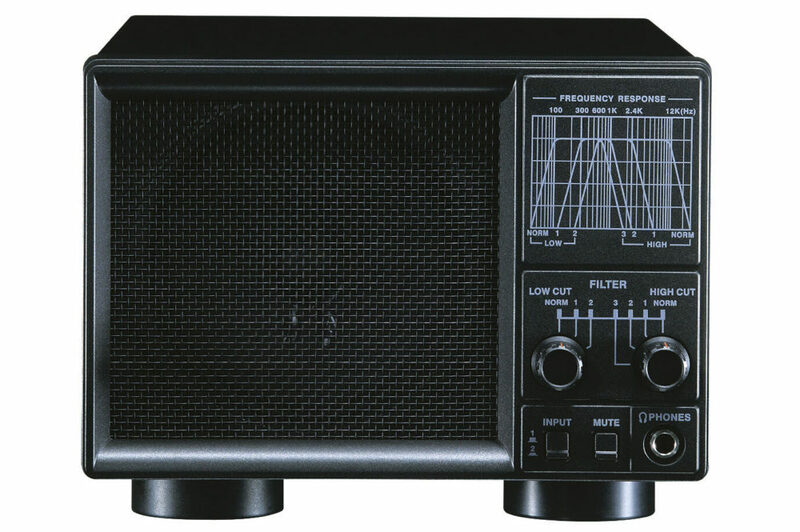 With efficient dimensions of 14.4″ x 4.5″ x 12.3″ (W x H x D) and weighing in at only 22 pounds, the FT DX 3000D is a solidly packed tranceiver ready to give very high performance on all Amateur Radio bands from 160 to 6 meters. • General Coverage Reception from 30 kHz to 56 MHz. • FM & AM – Wide and Narrow modes included. RTTY/PSK31 Encode / Decode Included. Various easy connections available for RTTY, SSTV, PSK31, JT, and other Digital Modes. 100 Watts of Solid Performance. The RF Final Amplifier produces a clean 100 watt (some modes less)transmit signal. A large heat sink is combined with the die cast aluminum chassis for efficient heat dissipation. A cooling fan located beside the final amplifier and the TX Low Pass Filter ventilates the heat away from inside of the transceiver cabinet. This large axial flow fan is mechanically isolated from the chassis to reduce vibration and noise. The speed of the fan is continuously controlled by the temperature of the PA amplifier; starting at 40 degree C.
High Speed Automatic Antenna Tuner included. The antenna tuner uses LC switching. It has a large capacity 100 channel memory. the tuning data is automatically memorized to reduce tuning time when changing frequency. Famous Yaesu Main Tuning Knob. A heavy weighted balanced brass core knob is used to give the famous Yaesu smooth flywheel operating feel to the FT DX 3000D Main Dial Knob. Each user may set his/her favorite torque feeling of the Main Dial rotation. 1st IF 9MHz signal with wide bandwidth IF Output available on the Rear Panel for after-market band scopes, CW Skimmer, etc. USB input included for firmware updates. This input can also facilitates CAT, USB AUDIO IN / OUT and USB TX Control (PTT, KEY and FSK). Remote Control From A Distant Location. External control (CAT) is possible using USB or Serial Port; this feature means the FT DX 3000D can be remotetly controlled from a distant location! Big TFT Full-Color Display For Superior Operability and Visibility. The FT DX3000 D presents a wide view angle, high contrast LCD 4.3 inch TFT impressive full color display that provides a convenient view of the radio’s working functions. Superior operability is realized with this convenient display. It permits excellent visibility from different viewpoints. 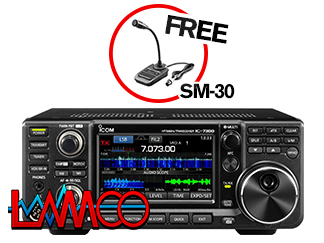 Even with the many FT DX 3000D features and functions, the TFT display makes operation of the radio easy and comfortable. • A Block Diagram Displays RX Signal Path. • Choose Analog Type or Bar Graph Meter. • Selectable analog type or bar graph type meter indication. • Separate Independent Frequency Display. • High Speed Spectrum Scope. • TX and RX markers appear during “spit” operation. The function names and the setting levels of the following functions are shown in the TFT main display when a function knob is rotated: Clarifier, Microphone Gain, Speech Processor, SHIFT, WIDTH, KEYER SPEED and CONTOUR. An AF-FFT (Audio Frequency Fast Fourier Transform) scope is built in. This AF-FFT function was first demonstrated in the FT DX 9000 series. With this Scope, the audio characteristics of the received signals; the effect of adjusting the RX IF filter performance; and utilizing the QRM rejection features, may be visually observed. It is also possible to observe the TX audio characteristics of your own signal while using the Monitor function. This is very effective for tuning the parametric equalizer for voice characteristics and the microphone audio. The Spectrum Scope screen can be stored or recalled with one touch. Simultaneously the time information is recorded in the memory, so that the difference in activity may be reviewed and compared, depending on the seasons and times. Six keys that are used frequently in normal operation are located at the left side of the TFT display. Other functions can be operated by pressing the “SCOPE” key which changes the “Spectrum Scope screen” to “Function Key Display screen”. 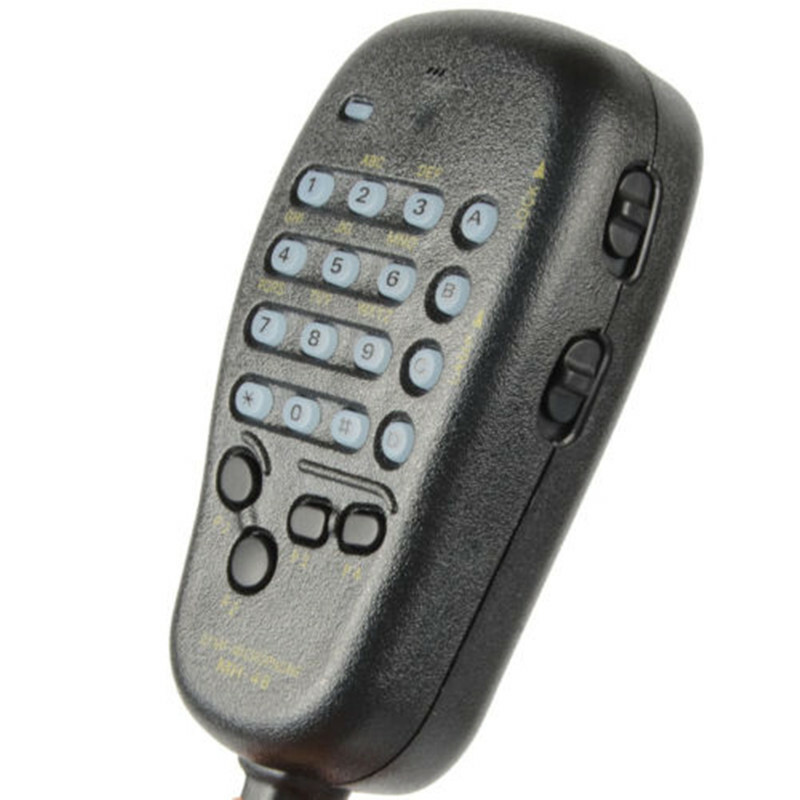 Even if the radio is turned off, the last operated Key Function is memorized and highlighted. Top Performing RF Front End. The RF Front End circuit is the most important element because it ultimately determines the HF Receiver performance. Our Yaesu Engineering team has concentrated superior RF Engineering knowledge into the design of the FT DX 3000D front end. • Fifteen separate band pass filters (BPF) are used for front end protection. This effectively reduces the undesired and out of band signals. • In the RF amplifier, the strong bipolar transistor (2SC3357) is used. This transistor shows a low NF, and provides superior intermodulation performance. • The gain of each individual device is kept lower, and the best optimized working point, with the lowest NF, is selected. • A custom-designed wide coverage transformer, with less magnetic saturation, is used for the I/O of the RF amplifier. This construction makes the device performance better and provides excellent multi signal performance. The powerful narrow bandwidth crystal roofing filter enhances the receiver multi-signal characteristics. The FT DX 3000D “Down Conversion” receiver construction is similar to the FT DX 5000. The first IF frequency is 9 MHz. This makes possible narrow bandwidth crystal roofing filters (300 Hz, 600 Hz or 3 kHz) with a sharp shape factor that creates amazing multi-signal receiving performance. The powerful narrow bandwidth crystal roofing filter enhances the receiver multi-signal characteristics. • The 3 kHz roofing filter greatly improves SSB signal reception during close adjacent multi signal conditions. • The 300 Hz* and 600 Hz roofing filters provide the best CW receiving environment when the adjacent signals may affect the desired signal reception. *Note: 300 Hz filter optional. Effective QRM and QRN Rejection. Effective QRM rejection is achieved from the FT DX 3000D IF DSP. The 32-bit high speed floating decimal point DSP, TMS320C6727B (maximum 2800 MIPS/ 2100 MFLOPS) made by Texas Instruments, is used for the IF section of the FT DX 3000D. The signal is processed with the high speed 300 MHz clock frequency. Proven IF WIDTH and IF SHIFT functions provide great QRM rejection performance. With the normal bandwidth, the pass band area can be moved relatively, so that harmful signals are rejected from the pass band. By adjusting the band width, Interfering signals can be removed from both sides of the pass band, without changing the pass band position. The IF width function can make the pass band narrower with one-touch. This function is effective in a pile-up or contest, when the undesired signals are located just above and below the target signal. When the IF Width knob is centered (click point), the pass band width is 2.4 kHz in the SSB and CW modes. When “NAR” is turned on, the minimum pass band becomes 50 Hz (200 Hz in the SSB mode), making it possible to minimize the QRM with this sharp filter shape factor. When the IF Width is turned clockwise from the center click point, the pass band width can be extended wider, up to 4000 Hz. This may provide a richer sounding and more comfortable QSO when in a local rag chew. The CONTOUR function ideally tailors the received audio signal without changing the bandwidth. The CONTOUR function varies the outline of the IF DSP filter pass band characteristics, and the in-band signal construction can be partially altered. Different from the IF SHIFT or IF WIDTH, the special CONTOUR pass band, can reduce or peak the desired signal, partially and continuously across the pass band. This feature is effective especially when the undesired signal is close to the center frequency. Digital Noise Reduction (DNR) by DSP. The installed digital noise reduction circuit provides 15 separate parameters. The noise reduction constants may be set to the optimal working point by varying the 15 step parameters according to the actual noise within the HF band. The desired signal components are peaked and the random noise components are effectively cancelled. This high Q circuit has steep attenuation characteristics of 70dB or more. Effective removal of a strong beat signal is obtained. The damping characteristics can be switched to wide or narrow band width, and the attenuation level may be adjusted in the Setting Mode Menu. Interfering signals may be attenuated, while minimizing the impact on the received signal. Digital Notch Filter (DNF) (AUTO NOTCH). The Digital Notch Filer (DNF) is a feature that automatically follows the interfering heterodyne signals, even if there are more than one, and even if the beat frequency changes with time. This is effective in removing jamming signals. CW APF (Audio Peak Filter). In the CW mode, the APF (Audio Peak Filter) function has an audio peak at the signal frequency; this improves the S/N and increases the readability of the CW signal. The APF peak frequency can be finely aligned. The S/N ratio (signal-to-noise ratio) of the local signal that is injected into the 1st IF mixer is one of the most important factors for improving the receiver properties in the ultra-multi-signal environment. In the FT DX3000 D, the combination of it’s high stability and high accuracy 40 MHz TCXO (± 0.5ppm, -10 °C ~ +60 °C), and it’s DDS create the fundamental frequency of this radio, and is locked to the PLL-IC and VCO directly. This circuit construction and method creates the highest quality local signal, with superior S/N performance. This means the receiver noise floor is kept lower, and realizes the best blocking dynamic range at 2 kHz IP3 performance. Three IPO Settings – Best Signal Reception During Changing Band Conditions. 3-step IPO settings permit the operator to select the most appropriate gain for best signal reception. This variety of selections provides superior receiver performance and the best possible communications with changing band conditions. The IPO (Intercept Point Optimization) is selected by a control switch located on the front panel. The IPO selection determines the gain of the RF amplifier. The gain setting is very effective in optimizing the receiver performance, depending on the antenna and the communication propagation conditions. The IPO, the ATT and one stage of the RF amplifier are used to optimize the signal levels that are sent to the mixer. This is especially important for HF low-band operation. The “AMP 1” uses one RF amplifier stage, and maintains a better balance between the sensitivity and the receiver performance (the gain is around 10 dB). In addition, “AMP 2” uses two stages of the RF amplification and can obtain higher sensitivity (the gain is around 17 dB); something particularly important on the 6 and 10 meter bands. The modulation circuit of the FT DX 3000d utilizes digital variation operational modulation, which creates ideal high quality transmission audio. The modulation circuit of the FT DX 3000D utilizes the digital variation operational modulation type, which creates ideal high quality transmission audio. This radio has a parametric equalizer that makes possible versatile adjustment of the TX audio quality by aligning the TX band audio spectrum. The parametric equalizer can alter the Low, Mid and High part of the audio separately. This three stage parametric equalizer can generate high quality TX audio sound because it can be tuned in detail…without sacrificing the audio dignity. The SSB Speech Processor uses IF digital signal processing to increase the intelligibility of the transmitted signal during weak signal crowded conditions. The DSP increases the average power of the important speech spectrum components and reduces the TX power of the less significant components. Adjust the compression level in the Menu Mode to adapt the transmitted SSB signal to best suite your voice characteristics, the situation, propagation conditions and pile-up demands. 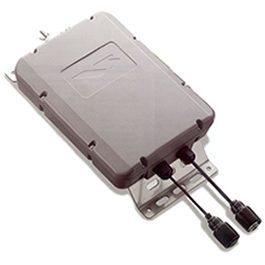 Three antenna connectors are available on the FT DX 3000D Rear Panel. Having multiple antenna selections is an especially effective feature for DX and Contest operating. Antenna connection selections memorized and recalled when changing bands. The “ANT 3” input can be set for the “RX Only” antenna. CW APF (Receiver Audio Peak Filter) with 3 bandwidth steps. CW Mode reversal (USB or LSB). CW Keying available during SSB operation. CW “VOX” Delay is adjustabe. Electronic Keyer with Weight control. Four Message Memory (50 characters each); five w/FH-2 Keypad. Automatic Insertion of incrementing contest number. Dial step setting (for the CW mode only). Separate KEY Jacks on the front and rear panels. Each memory channel is capable of storing up to 20 seconds of audio using the optional DVS-6. The “RX Output” connector on the Yaesu FT DX 3000D Rear Panel accesses the signal from the receiver RF amplifier. The signal can then be output to an external receiver for in-band simultaneous receiving. The u-Tuning Kit that was developed for the FT DX 9000, is optionally available for use with the FT DX 3000D. 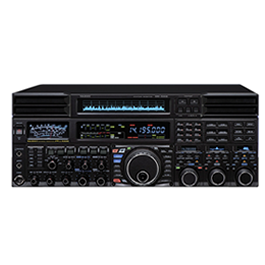 No other Amateur Radio radio manufacturer offers a comparable device that may improve your DXing performance in some challenging operating situations. A large diameter 28 mm inductor, with an adjustable ferrite magnetic material (Ni-Zn ferrite) core, is combined, with a high resolution and high torque stepping motor to automatically find the resonance point. By inserting these tuning units prior to the RF front end of the receiver, the IP3 points are improved by around 4 dB. Yaesu FT DX 3000 Amateur Radio Shops HAM Radio Dealer Supplier Retailer.